Finely chop or slice the onions and cook slowly in the butter with a pinch of salt. Yes, it is a lot of butter. Mince the garlic and finely slice most of the mint leaves and add them to the pot. Cook, stirring frequently, until the onions are soft and sweet, a good ten minutes. Don’t let them colour. Add the stock, season and bring to a boil. Add the peas, and if needed add a little more water from the kettle so that they are just covered. Simmer for around five minutes or until the peas are just tender. Do not overcook or they will lose their bright green colour. Puree the soup with an immersion blender or in batches in a jug blender until it is really smooth. Blend in the double cream and more seasoning if needed to taste. 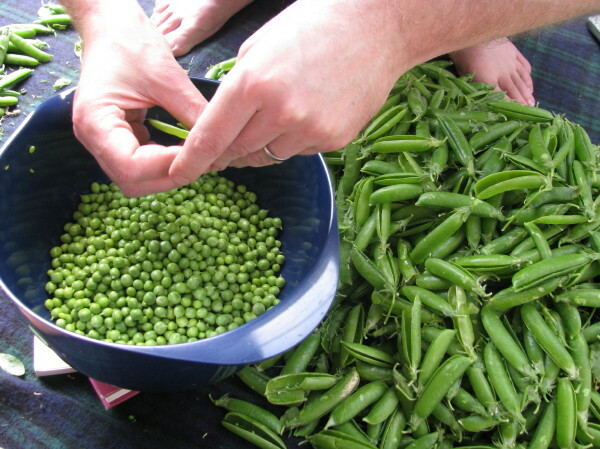 If it’s too thick, add some cold water, but take care not to dilute the pea flavour too much. Chill in the fridge for a few hours or overnight, and then check the seasoning again. Once cold it may need more salt. Serve with a dollop of crème fraîche in each bowl, garnished with the remaining mint leaves (finely sliced) and a little lemon zest, finely grated over the top at the last minute.